Sponsored by Champaign Unit 4 School District. It sure is cold outside. But don’t fret, we’ve got plenty of FREE indoor fun to be had this weekend in Champaign-Urbana! 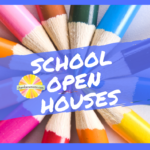 Champaign-Urbana area preschools, public schools and private schools are offering tours and informational sessions, including open houses, now through mid-March. 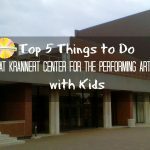 Our Top five favorite things to do at Krannert Center for the Performing Arts with kids.